Fashion trends are constantly changing, and the most popular tuxedo coat styles are no different. There have been some minor changes in popularity from year to year. But for the last several years a few things about the most popular tuxedo coats have pretty much held true the entire time. We’re going to explore some of the things that have stayed the same. And some of the things that have changed, over the last several years. For over five years now, the notch lapel tuxedo coat has reigned supreme as the most popular tuxedo coat style across the board. In pretty much every type of formal function. From weddings to proms to formal balls, most tuxedos you would see probably sport the notch lapel. Perhaps this is due to it’s versatility: according to the Hedford blog, the notch lapel tuxedo coat looks good on just about any body type. Over the last few years the peak lapel tuxedo has seen some resurgence, but not enough to top the current king of tux lapels: the notch. The amount of buttons in the most popular tuxedo coat is something that has seen much more change in preference over the years. Although, based on sales and rentals nationwide. The two-button coat is the most popular tuxedo coat, perhaps due to it’s more casual nature. 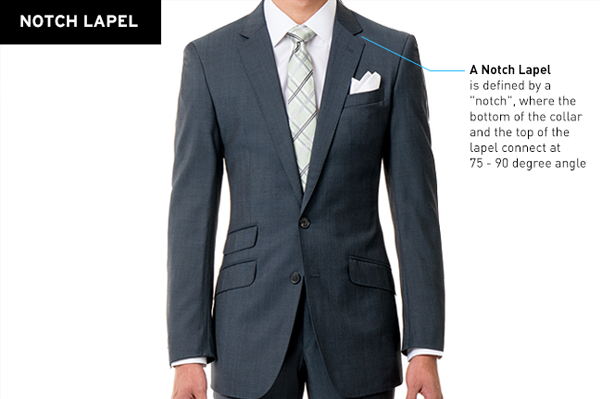 Black Tie Guide’s website states that the two-button tuxedo is based on business suit styling. One-button tuxedo coats have seen a huge increase in popularity over the last few years alone. And the gap between the two styles in popularity is quite narrow. Shorter coats have definitely made an enormous comeback over the last five years or so. Rarely does one see a longer coat anymore, unless it’s part of a certain theme (western wedding, etc.) 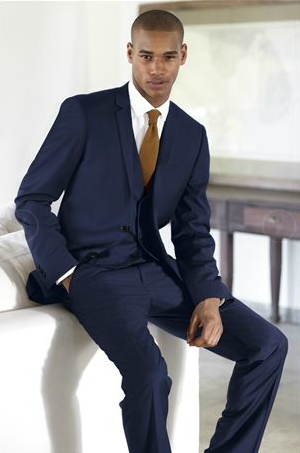 Shorter, sportier coats with smaller lapels have taken their current place as the most popular tuxedo style nationwide. Popular tuxedo coat colors is perhaps the most frequently changing aspect of the most popular tuxedo coat. The classic black still holds the spot for the most popular tuxedo coat today. But close behind that, is the dark grey tuxedo coat. Following dark grey is a color that has seen an enormous rise in popularity: navy blue.